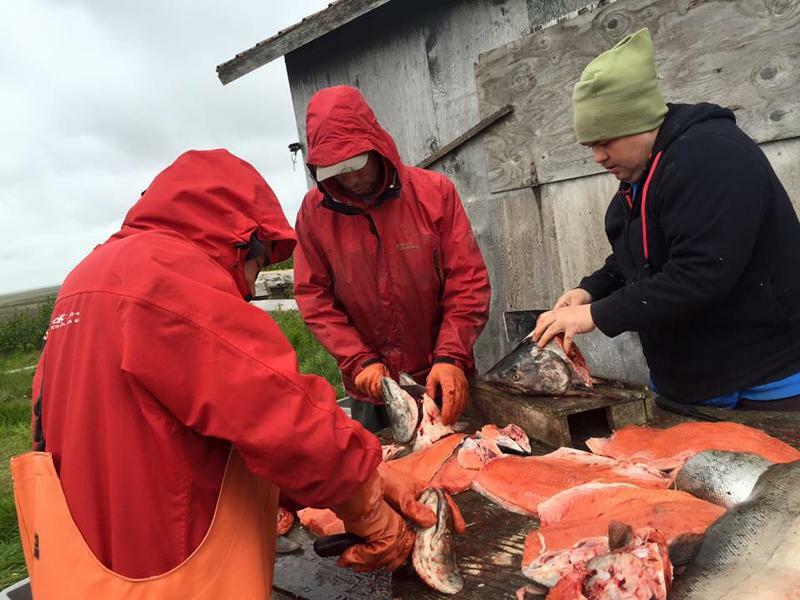 Processing salmon comes to a standstill in Togiak as regular blackouts hit the small village, but there is a solution on the horizon. 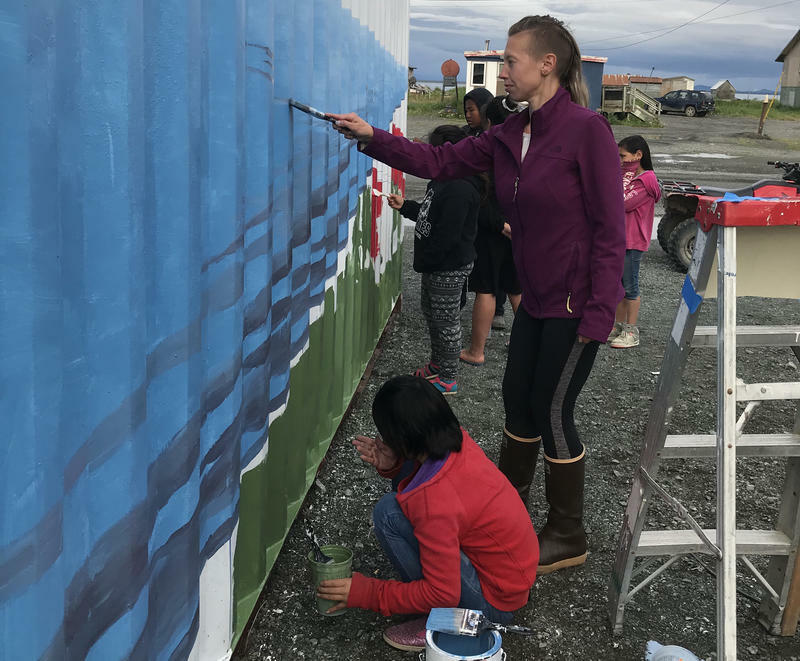 Togiak has the smallest and latest salmon run of Bristol Bay's five districts, but it’s already been open for commercial fishing per its regular weekly schedule since June 1. 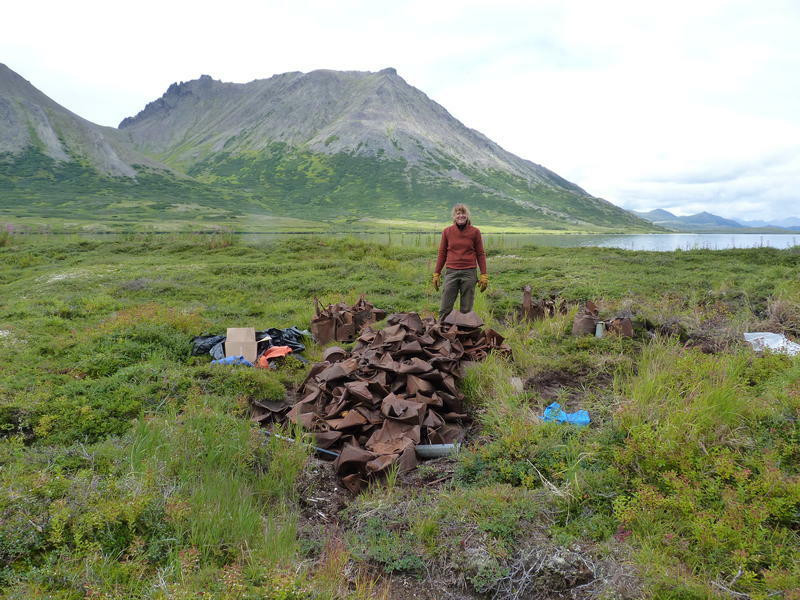 This summer a clean-up effort in Togiak National Wildlife Refuge removed more than a ton of junk from the area. Two diesel projects in the Bristol Bay area were announced in a White House release in early September. Tonight we check-in on what's happening over on the east side, and get an update on the Bristol Bay halibut fishery. Tonight we hear BBEDC President/CEO Norm Van Vactor's outlook for Bristol Bay fisheries and check out what's happening in Togiak. **Catch this program M-F between 6:30 and 7:00 p.m., and we'll add weekend coverage ... when the fish get here. A woman from Togiak is facing drug charges for allegedly smoking oxycodone at the Kanakanak Hospital in Dillingham. Last Thursday afternoon the Dillingham Police Department was asked to investigate a report that a pregnant woman and another woman, who had just given birth, were smoking oxycodone in the delivery/OB room at the Kanakanak Hospital. Normally the sockeye fishery in the Togiak District would be winding down about now. But as KDLG’s Mike Mason reports… the sockeye run continues to show up with some strength. A handful of commercial fishermen from Togiak have been accused of fishing illegally outside of the Togiak Commercial Fishing District. Last week the Alaska State Troopers served 4 search warrants in Togiak that resulted in the seizure of 4 driftnet vessels that the Troopers allege fished illegally from 1 to 2 miles outside of the Togiak District. Bristol Bay’s massive sockeye run is basically over and the vast majority of fishermen have called it a season. However, there are still fishermen targeting the small sockeye run to the Togiak River. KDLG’s Mike Mason has this update. The sockeye run to Bristol Bay keeps chugging right along as the escapement goals have been achieved for the Igushik, Nushagak, Wood, Kvichak, Naknek and Egegik Rivers. It looks like the Ugashik River will eventually get to the lower end of the goal but the fate of the Togiak River is still in doubt. KDLG’s Mike Mason explains. The largest herring fishery in Alaska opens up Sunday night but serious fishing could be on hold for a day or 2. The Togiak sac-roe herring fishery will open at 6-pm after biologist with the Alaska Department of Fish and Game spotted enough herring in the district to warrant a commercial fishery. 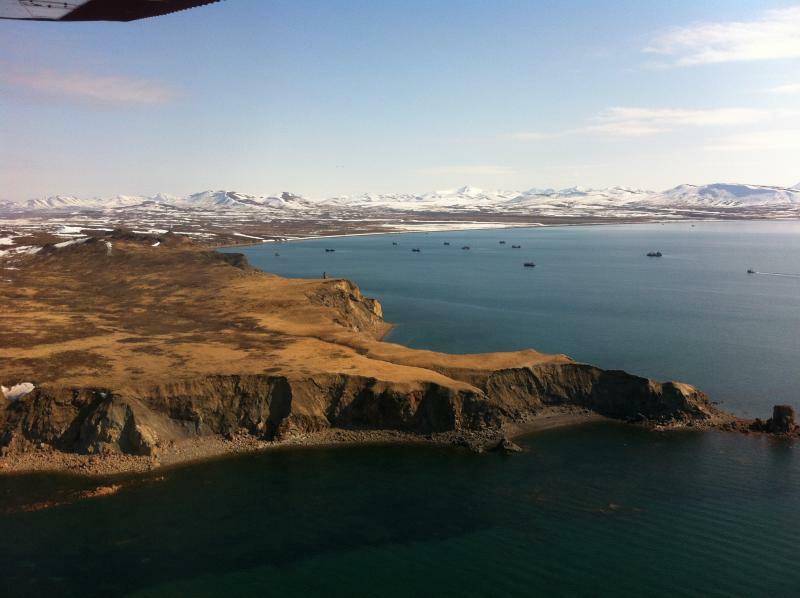 The largest herring fishery in Alaska is the Togiak sac-roe herring fishery and many stakeholders in the fishery are preparing for an early start. 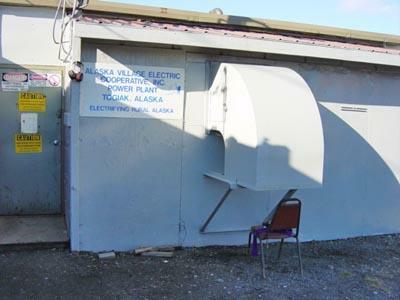 That includes the Alaska Department of Fish and Game. KDLG’s Mike Mason has this preview.